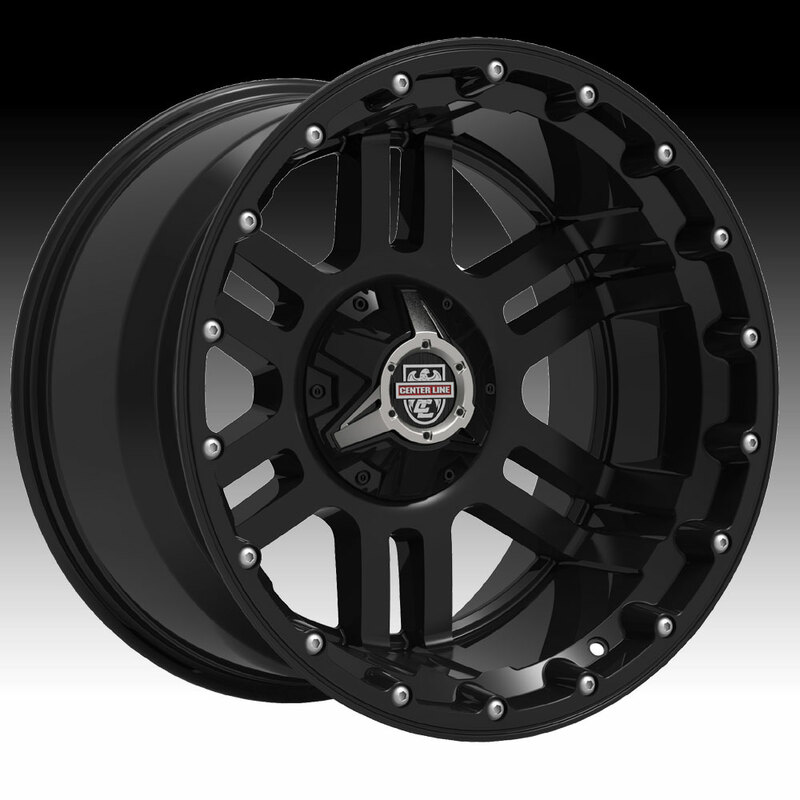 The Center Line Lifted Truck Series LT1B 830B gloss black wheel is available in a 20x12 size only. The LT1B is available for lifted truck applications only. Free shipping on on all Center Line LT series wheels. Free chrome lug kit with the purchase of a set of 4 Center Line LT1B 830B wheels. 20x12 5x114.3 / 5x127 -44 CLT1-201251427N44B $291.07 43.3 Lbs -->> Call or email for special deals! 20x12 5x135 / 5x139.7 -44 CLT1-201253539N44B $291.07 44.51 Lbs -->> Call or email for special deals! 20x12 8x170 -44 CLT1-20128170N44B $291.07 42.97 Lbs -->> Call or email for special deals!